7 Publications by "I. Figueiredo"
In this paper a variational segmentation model is proposed. It is a generalization of the Chan and Vese model, for the scalar and vector-valued cases. It incorporates extra terms, depending on the image gradient, and aims at approximating the smoothed image gradient norm, inside and outside the segmentation curve, by mean constant values. As a result, a flexible model is obtained. It segments, more accurately, any object displaying many oscillations in its interior. In effect, an external contour of the object, as a whole, is achieved, together with internal contours, inside the object. For determining the approximate solution a Levenberg-Marquardt Newton-type optimization method is applied to the finite element discretization of the model. Experiments on in vivo medical endoscopic images (displaying aberrant colonic crypt foci) illustrate the efficacy of this model. I. N. Figueiredo, J. C. Moreno, V. B. S. Prasath, and P. N. Figueiredo. 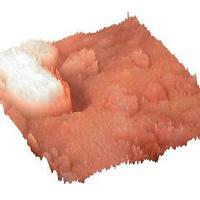 A segmentation model and application to endoscopic images. Proc. International Conference on Image Analysis and Recognition (ICIAR), Springer LNCS 7325, pages 164-171, June 2012. We study a region based segmentation scheme for images with textures based on the gradient information weighted by local image intensity histograms. It relies on the Chan and Vese model without any edge-detectors, and incorporates a new input term, defined by the product of the smoothed gradient and a local histogram of pixel intensity measure of the input image. Segmentation of images with texture objects is performed by effectively differentiating regions displaying different textural information via the local histogram features. A fast numerical scheme based on the dual formulation of the energy minimization is considered. The performance of the proposed scheme is tested on different natural images which contain texture objects. I. N. Figueiredo, J. C. Moreno, and V. B. S. Prasath. 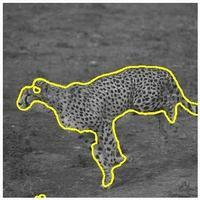 Texture image segmentation with smooth gradients and local information. Proc. Computational Modeling of Objects Presented in Images: Fundamentals, Methods and Applications (CompIMAGE), pages 115-119, 2012. Wireless capsule endoscopy (WCE) provides an inner view of the human intestinal system, and helps physicians to identify abnormalities. Usually the WCE produces a huge amount of data (which, in terms of video recordings and per patient, is about 8 hours and approximately 55000 frames of RGB color data). This means the examiner needs to sift through each video for a long time. Digital image processing techniques can be used effectively to reduce this burden, by making use of automatic algorithms. The inner tubular like structure of the human large intestinal tract consist of two major regions. One is the lumen, the intermediate region where the capsule moves. The other part is the mucosa, which is a mucus-secreting membrane lining the lumen cavities. Abnormal tissues and lesions, like ulcers and polyps, are usually seen as exterior parts of the mucosa, and the lumen is filled with intestinal juices of the human digestive system. Here we apply a variational model for segmenting mucosa regions in WCE images and videos. A fast implementation using the Split-Bregman method is also applied to segment videos in real time. Results on WCE images and videos show that the approach provides reasonable segmentations in an efficient manner. keywords = "endoscopy, mucosa, biomedical, segmentation"
V. B. S. Prasath, I. N. Figueiredo, and P. N. Figueiredo. 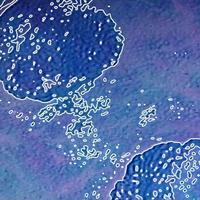 Colonic mucosa detection in wireless capsule endoscopic images and videos. Congress on Numerical Methods in Engineering (CMNE), pages 9pp, June 2011. A variational segmentation model for images with texture is proposed. It relies on the Chan and Vese model, and incorporates an extended structure tensor of the image, defined by a coupling of the image with its first-order spatial derivatives. The average components of the extended structure tensor is also utilized in the model, by means of its gradient. Moreover, a pre-smoothing of this gradient and the structure tensor is performed, which makes the computations robust to noise. As a result, an effective segmentation model is obtained, which distinguishes and segments objects with texture information. For the numerical approximation of this model, a finite element discretization is used, and a Levenberg-Marquard-Newton type optimization method is applied. An application of the proposed scheme is to segment colonic polyps from human intestinal system images, captured by wireless capsule endoscopy. We present experiments on some synthetic and wireless capsule endoscopic textured images, for evaluation and validation of the proposed model. J. C. Moreno, I. N. Figueiredo, and V. B. S. Prasath. 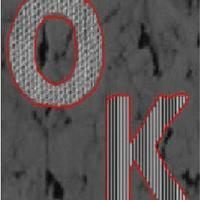 Texture image segmentation using higher order derivatives. Congress on Numerical Methods in Engineering (CMNE), pages 10pp, June 2011. Background. The aim of this work is to present an automatic colorectal polyp detection scheme for capsule endoscopy. Methods. PillCam COLON2 capsule-based images and videos were used in our study. The database consists of full exam videos from five patients. The algorithm is based on the assumption that the polyps show up as a protrusion in the captured images and is expressed by means of a P-value, defined by geometrical features. Results. Seventeen PillCamCOLON2 capsule videos are included, containing frames with polyps, flat lesions, diverticula, bubbles, and trash liquids. Polyps larger than 1cm express a P-value higher than 2000, and 80% of the polyps show a P-value higher than 500. Diverticula, bubbles, trash liquids, and flat lesions were correctly interpreted by the algorithms non-protruding images. Conclusions. These preliminary results suggest that the proposed geometry based from non-protruding images found in the films. P. N. Figueiredo, I. N. Figueiredo, V. B. S. Prasath, and R. Tsai. Automatic polyp detection in PillCam COLON 2 capsule images and videos: preliminary feasibility report. Diagnostic and Therapeutic Endoscopy, issue Article ID 182435, pages 16pp, March 2011. In this paper we address the problem of detection and segmentation of colonic polyps in endoscopic images obtained by a capsule device. Several procedures based on the geometric and image intensity features of the input medical image, together with variational segmentation methods are proposed and analyzed. The most successful procedure, and which has proven to effciently detect and single out the colonic polyps, relies on the curvature information of the images, which are interpreted as the graphs of functions defined over the pixel domain. The procedure involves first a curvature based identification to the graph of the original input image, and then a variational segmentation relying on this curvature identification. The other procedures are "image intensity" based segmentation techniques, and lead to a good detection of the lumen and colonic mucosa. However, in the majority of the cases, and as opposed to the first procedure, these "image intensity" based techniques do not single out the polyp, they rather include it as a part of the colonic mucosa segmentation. Numerical experiments on wireless capsule endoscopic images are undertaken for evaluation and validation of the proposed approaches. I. N. Figueiredo, V. B. S. Prasath, Y.-H. R. Tsai, and P. N. Figueiredo. 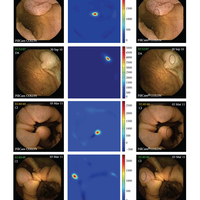 Automatic detection and segmentation of Colonic polyps in wireless capsule images. UCLA CAM Report, issue 10--65, 2010.